Benidorm 3, 03710 Calpe, Spanje. 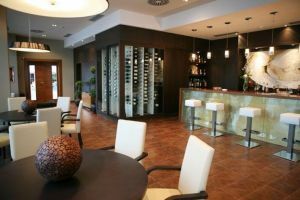 Gran Hotel Sol Y Mar And Spa is a modern luxury hotel in the coast of Alicante. 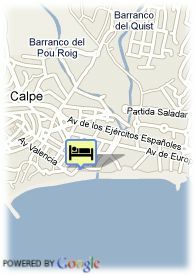 Gran Hotel Sol y Mar is a luxurious establishment to enjoy the Mediterranean. This hotel has been design for both business and holiday trips. From the superior rooms, guests can delight in impressive views to the Mediterranean Sea and the Rock of Ifach. In addition, the hotel has seven fully equipped meeting rooms that can hold any kind of event. At the hotel´s restaurant a wide varied of dishes, including meals for vegetarians and diabetics are served. There is also a relaxing area with fitness, sauna and Spa. Enjoy our outdoor pool in front of the Mediterranean Sea and with direct access to the beach and everything at just a stone´s throw from the golf court and right beside the beach.